Most of my travels revolve around food and cocktails, such as visiting New Orleans to cook a Peruvian pop-up dinner at Carmo Cafe, my annual pilgrimage to the International Food Blogger Conference, which is going to be in Seattle this year, or my upcoming trip to the famous Mistura food festival in Peru. So why would I go to Leadville, Colorado? 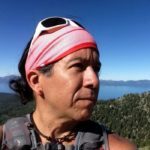 To train and run in the mountains of the High Country. That’s right, besides cooking Peruvian food and making Pisco cocktails, I love to run, but here, I want to tell you about my visit to the highest distillery in the world — and the whiskey cocktails I enjoyed at Two Guns Distillery. My passion for whiskey is rooted in the cocktails of the South, such as the Sazerac, Vieux Carre, or Cocktail à la Louisiane. And on Pisco Trail I’ve combined Bourbon with Pisco in the Mardi Gras Pisco Sour and the Saint and the Viceroy, both homages to New Orleans. But whiskey was also the drink of the Wild West in the late 1800’s, popular during the Gold Rush days, and through Prohibition. That’s where Two Guns Distillery comes in. Right on Harrison Ave., on the same side as one of the oldest saloons in Leadville, and across from the Tabor Opera House, the distillery is an homage to the whiskey days of the Wild West. 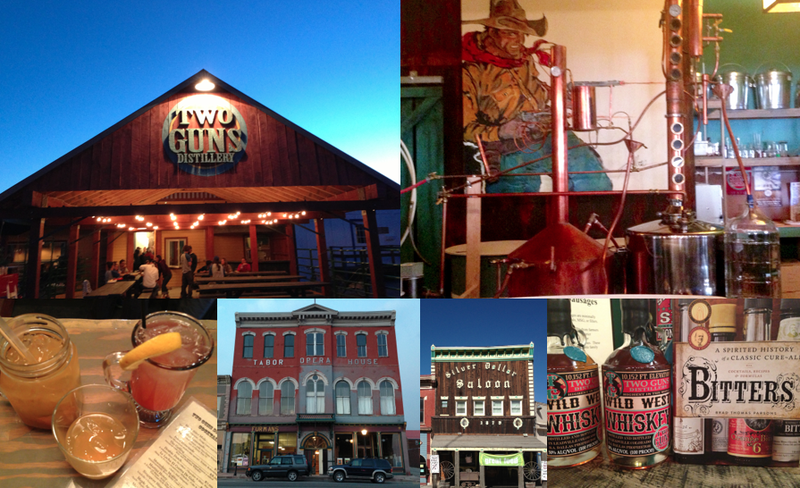 During my week long stay in Leadville, I must have visited Two Guns Distillery at least 4 or 5 times, but who’s counting. The first time, I sat at the bar, right in front of their copper stills that were being guarded by two larger than life gun slingers. If memory serves, I had a Hard Lemonade with Whiskey and a shot of Moonshine. At least twice I asked the barkeep to make me one of their off-menu items, the 1880, which was their version of an Old Fashioned. And since I love using mint in my Pisco cocktails, I had to try their Moonshine Mojito during one of the warmest nights of the week, and of course, another shot of Moonshine. Coming from San Francisco, where cocktail culture is everywhere, and some bars are experimenting with molecular gastronomy in their drinks, it was very refreshing to be at 10,152 ft. elevation, enjoying whiskey and moonshine that was served in beautifully simple concoctions that paid homage to the past, tasted great, and gave one the courage to run up Hope Pass at 12,620 ft. elevation — at midnight. One night, I noticed a copy of Bitters by Brad Parsons, who I met at an event at Omnivore Books, and the barkeep said that they were going to start making their own bitters. House whiskey. House moonshine. And now House bitters. That’s how they roll in Leadville.